We’ve reported on a number of stolen iPhone and iPad cases on iDB over the years. Apple’s gadgets are both popular and expensive, making them the perfect targets for thieves looking for a quick score. 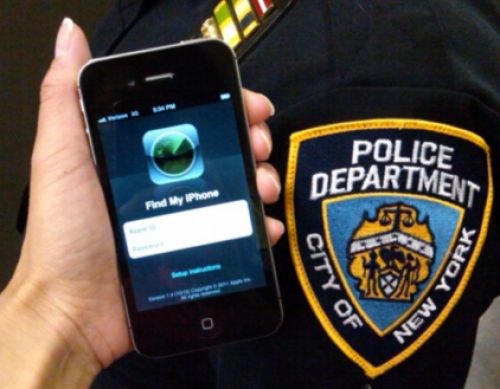 “The theft of Apple devices is so rampant in New York that a team of cops has been assigned to work with the tech giant to get the stolen gadgets back, The Post has learned. Every time an Apple device is stolen, detectives attempt to get tracking numbers from the victim or online records. Of course, identifying stolen phones by their unique identifiers has been done for several years. But this is the first time a dedicated law enforcement squad has teamed up with a tech giant like Apple to do it. The ‘iTheft’ unit has already proven to be successful. They tracked one iPad all the way down to the Dominican Republic, and recovered it. And in another case, they busted a man suspected of selling stolen iPads. I think this is a neat initiative by the NYPD, and it’s probably very comforting to folks in New York City—where nearly 12,000 Apple devices were stolen last year. And I give a thumbs up to Apple for helping out. Of course, the four major carriers are said to be working on a centralized database for stolen smartphones and tablets. But it’s not expected to be up and running until November of this year, at the earliest.